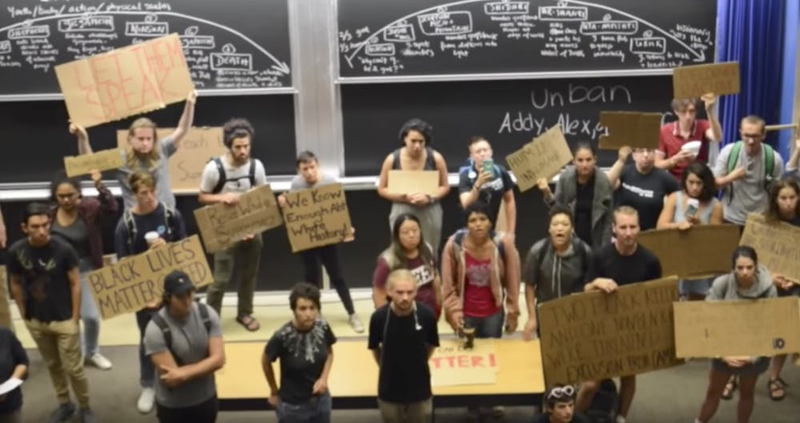 At Reed College, possibly the most liberal liberal-arts college in the country, first-year students are standing up to an “anti-racist” faction that bullied and silenced its critics for a year, Writes Chris Bodenner in The Atlantic. Most of the rebels against Reedies Against Racism (RAR) are freshmen of color, he writes. Another student from India organized a freshmen-only meeting on the quad, writes Bodenner. It drew 150 students, who had a civil, constructive discussion of Hum 110. Then RAR arranged an open mic for students of color. When a RAR “noise parade” shut down a lecture on The Iliad, most of the students “followed the professor into another classroom, where she continued the lecture,” said Pax, the black student who’d objected to the opening-day protest. “Only about 100 students were involved in this year’s boycott, a quarter of last year’s crowd,” writes Bodenner. “The upperclassmen who participated in the noise parade were barred from lectures,” ending the Hum 110 protests. Professors must stand up to extremists, writes Lucía Martínez Valdivia, an English and humanities professor who teaches Hum 110. For a year, RAR intimidated professors, she writes. The disruptions were tolerated. It got worse. Absolutist postures and the binary reign supreme. You are pro- or anti-, radical or fascist, angel or demon. Even small differences of opinion are seized on and characterized as moral and intellectual failures, unacceptable thought crimes that cancel out anything else you might say. No one should have to pass someone else’s ideological purity test to be allowed to speak. University life — along with civic life — dies without the free exchange of ideas.